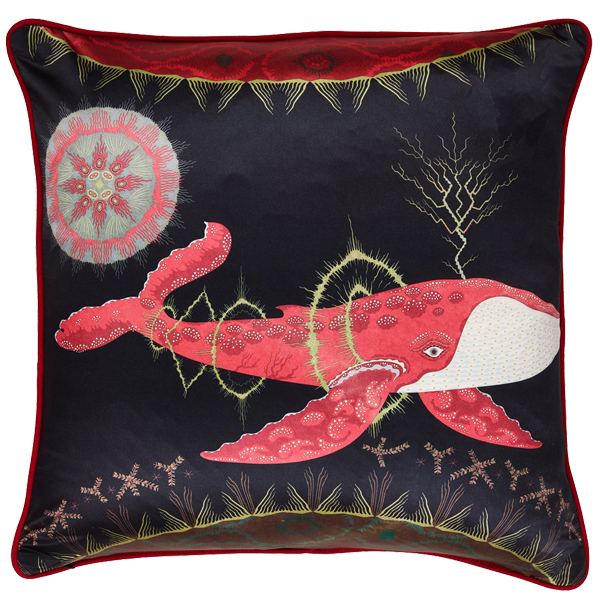 Klaus Haapaniemi’s fascinating Cosmic Whale cushion cover features a red barnacle-covered whale floating in an otherworldly environment. 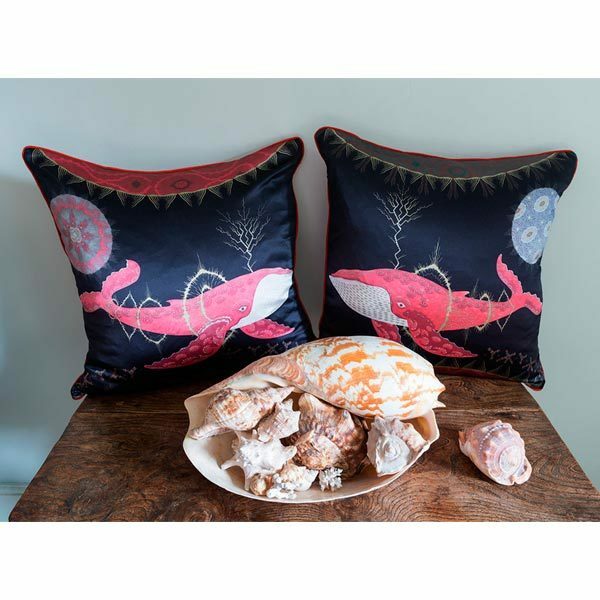 The print side of the limited edition cushion cover is made of pure silk and the backside is dark red cotton canvas. 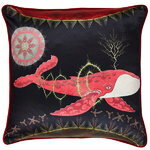 The Cosmic Whale weaves together fantasy, celestial bodies and the gentle giants of the ocean.